Committed to zero defect manufacturing and flawless delivery, Accudyn specializes in highly engineered injection molding for customers around the world. From management to operators on the manufacturing floor, the Accudyn team blends top tier plastics engineering, system driven manufacturing processes and certified quality systems to exceed customer expectations. It is the power of a great team that enables Accudyn to consistently deliver dynamic solutions in injection molded products. 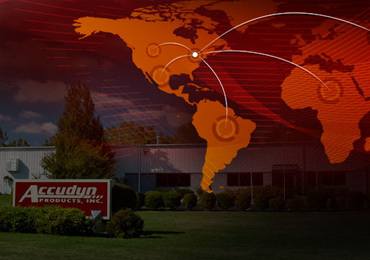 Accudyn’s global reach allows us to service our customers around the world. 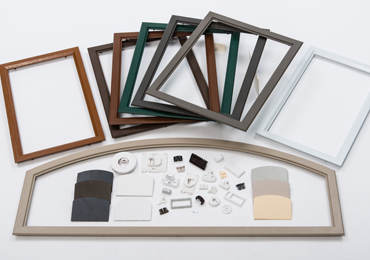 Supplying customers in Europe, Asia and South & North America. 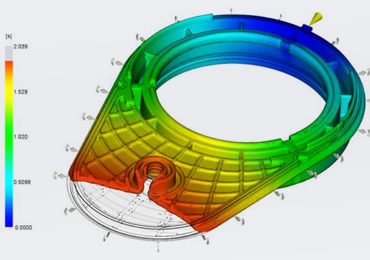 Accudyn uses the latest design and analysis software including SolidWorks and Moldflow Insight Premium to support our customer’s needs. At Accudyn, we take pride in our ability to produce highly engineered components for a wide variety of industries. 2018 is an especially exciting year for Accudyn Products, Inc. as we celebrate our 20th Anniversary! Looking back at what made Accudyn what it is today and looking forward to what Accudyn will be in the future not only makes us very proud but gives us much excitement of what the future will hold. When Tom and I started the business, our focus was on doing things that others wouldn’t take on. We carry that ideology today. We take a great deal of pride in the team here at Accudyn. They are the most important element in our success and truly live Accudyn’s values on a daily basis. This team cares deeply about the job they do; the customers that we serve; and the communities where we all live and work. Being able to give back to the people and organizations that are important to our family and our employees has been an especially gratifying part of our first 20 years in business. The next generation continues to reinforce what has made Accudyn successful and what our customers value. They will continue to invest in our people and the technology that will drive Accudyn to the next level. The experience they continue to acquire, combined with their knowledge of the industry and an energy and excitement regarding the future of Accudyn, will make us successful for years to come. I look forward to an exciting future for Accudyn, our employees and our customers.